Humble beginnings. 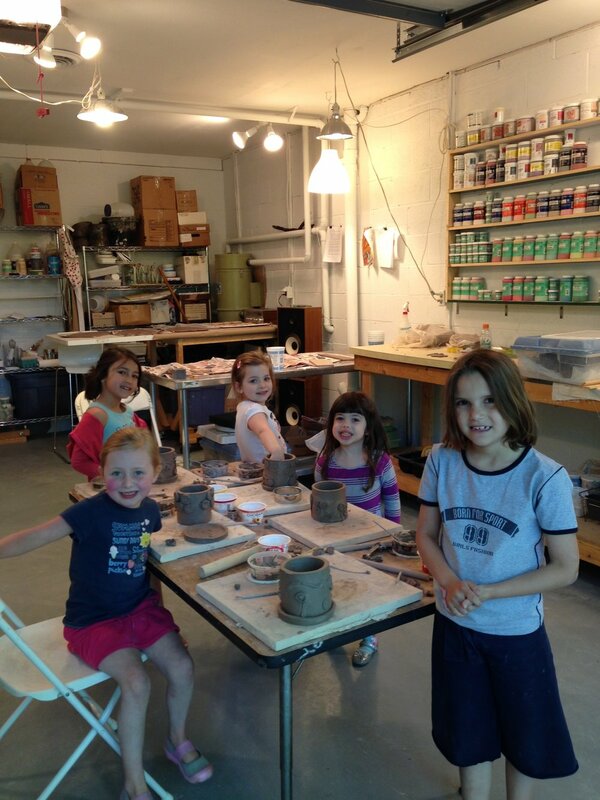 Nina with clay camp friends. Karen Rich Beall was born and raised in West Palm Beach, Florida. After earning a Bachelor of Fine Arts degree in Ceramics from the University of Florida in 1986, Beall moved to New York City and worked as a studio assistant, wood restorer, and Circulation Director for Artforum Magazine while pursuing her own artwork. In 1992 Beall left New York to attend graduate school at the University of Tennessee, where she received her Master of Fine Arts degree in Sculpture in 1995. Beall then moved to Atlanta where she worked as the Public Art Assistant for the Atlanta Committee for the Olympic Games. She also worked for several years at the Fulton County Arts Council as the Public Art Coordinator. In 2002, Beall and husband Michael Pittari moved to Pennsylvania where Pittari accepted a full-time teaching position. Beall currently teaches Ceramics, Sculpture and Environmental Art as an adjunct instructor of art at Lebanon Valley College and lives in Mount Gretna with her husband, son, daughter, dog and cat. She established krb ceramics in the summer of 2015.